Hey guys, I clearly stole this format from Sam, and we have very different ideas on how boozy is supposed to be spelled. Womp womp womp. Will Read for Booze is hosting its inaugural #Booziebookathon on July 22nd! See our announcement post HERE for details and such. 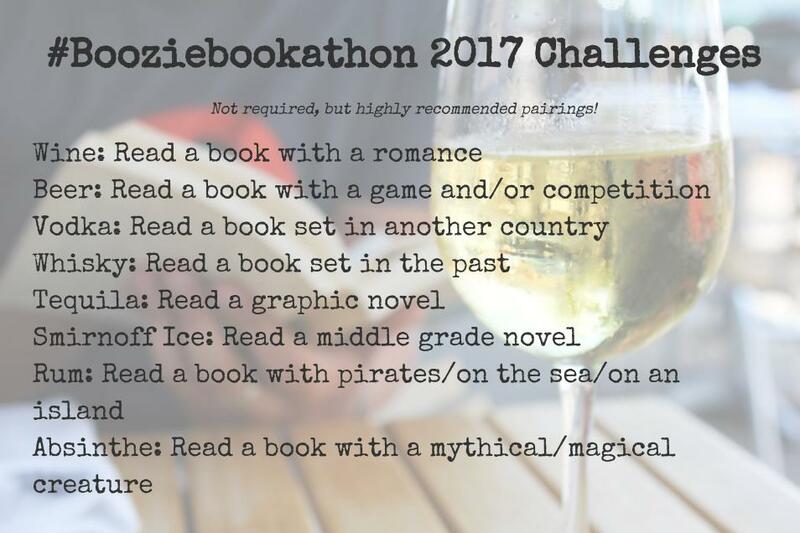 Here are the challenges, and my TBR. This is the second book in this series. I read the first book at some point last year and it was a genuinely fun read. I honestly don’t know too much about the sequel, but I figured now would be a great time to give it a chance. I have no idea if I’m actually going to stick to this list, but it’s always nice to have a plan. Hope you’re looking forward to our #BoozieBookathon as much as we all are!